Skiing is one of the world's oldest winter sports, second only to ice skating. Rock engravings of skis have been found in primitive caves in Russia and Norway. Ancient skis have been found in the peat bogs of Scandinavia and Finland. The Norse sagas contain references to skiing, and Norsemen brought skis with them when they infiltrated the British Isles. Debbie Head, 57, received a text from a friend telling her another van was on her pitch in Milford in the New Forest, Hampshire, just two days in to her skiing holiday. Daily Mail. Sunday, 07 Apr 2019 15:34:06 +0100. Today there are two main forms of skiing; Nordic and Alpine. 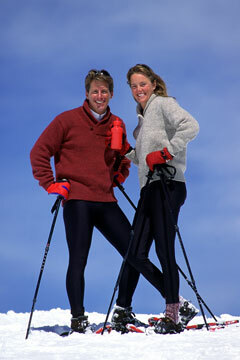 Nordic skiing allows the skier to transverse relatively flat terrain and is a great aerobic workout. Alpine skiing uses long, narrow skis and poles to glide downhill over manmade slopes. Alpine skiing is a popular winter sport, as evidenced by the numerous ski resorts and lodges located around the country and around the world. It is also a competitive sport in the Olympic Winter Games. The International Ski Federation is the governing body for Olympic level ski sports. In competitive alpine skiing, one competitor after another races down the slopes, competing for the fastest time. The longest competitive race is two miles. Competition is divided into three categories: downhill, giant slalom, and slalom. The downhill event is a test of speed, including bumps, rolls, gullies, and sudden changes in steepness. The giant slalom tests the skier's ability to find and hold the fastest course on a slope about one mile in length with a vertical drop of 1,476 feet through 60 to 70 gates. Slalom includes two consecutive runs on adjacent courses, and the winner is the competitor with the fastest aggregate time for both runs. Body positioning allows the skier to go faster or slower, and leaning to the right or left helps turn the skis in the desired direction. Competitive nordic skiing includes cross-country skiing and ski-jumping, in which points are awarded for distance and style. Skiers must be in a forward-leaning position with arms at the side or straight ahead, and skis must remain parallel throughout the jump. 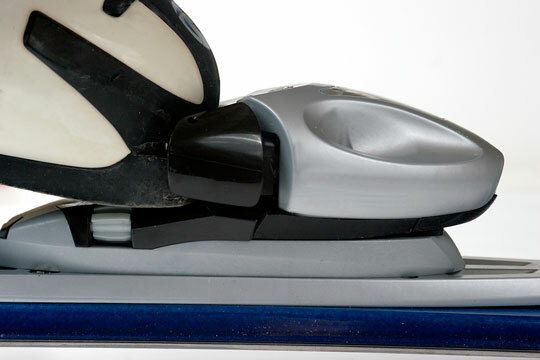 Skis are constructed of wood, composite wood, metal, or synthetic fiber, and clip on to the ski boot. The pointed fronts are upturned. Skis vary from 5 feet, 11 inches to 6 feet, 11 inches in length; they are roughly 3.5 inches wide at the front and about 0.5 inches narrower in the middle. Long thin poles are also used for balance and to aid in pushing off and stopping. Necessary clothing includes warm layers, or waterproof, tight-fitting outfits in the case of professional competition. Skiers also wear boots, gloves, and goggles to protect against wind and sun glare. Snowboarding is a more recent development, an alternative to skiing that enjoys status as an event in the Olympic Winter Games. Snowboarding is a derivative of surfing, using a single board rather than two independent skis. It relies on the same principles as surfing, using the back foot as a rudder to assist in turning. Snowboarding doesn't require ski poles because snowboarders use their own weight and center of gravity for balance and control. Most ski lodges and resorts have snowboard rentals and half-pipes, designed for doing tricks.